The Princess enjoyed her visitors and put on a bit of a show for them. 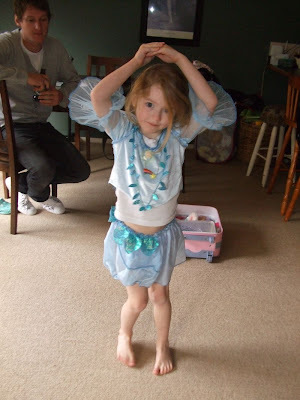 She is wearing her fairy costume which only a few months ago was a perfect fit, but not any more! 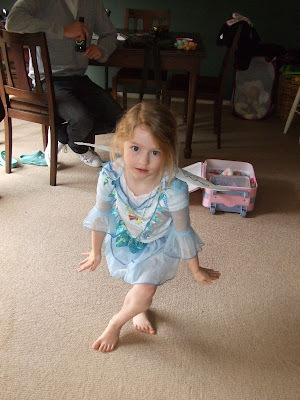 I must get her into ballet. 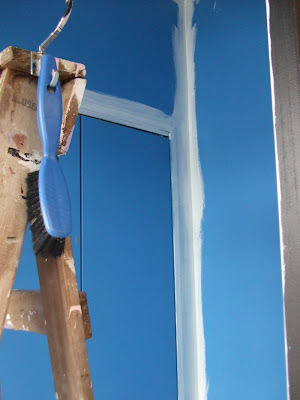 I spent today at the shop, only got the entrance foyer to finish now, it was that hideous blue. Its taking three coats to get a good cover over it which isn't too bad considering how vivid the blue is. 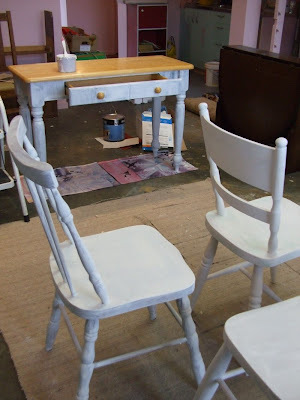 While I was waiting for the undercoat to dry, I finished priming the furniture that Mum had started yesterday. Some of it is to be used as shop fittings and some of it will be sold. Can't wait to start putting top coats on! I love transformations! Yesterday The Princess and I set of to a jumble sale. Just one problem, we were a week early! And I read the flyer twice to check the date! I was so disappointed that as a consolation prize I paid a trip to my local thrift shop instead and hit pay dirt! They had just received boxes of china from a deceased estate so that let me have first pick! I spent a small fortune but so worth it! 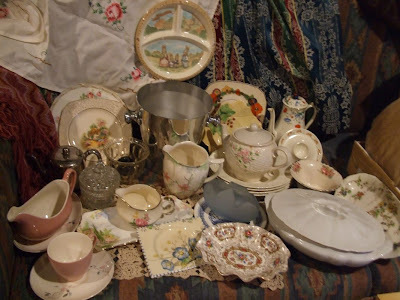 I got teapots, milk jugs, loads of plates and sandwich plates. 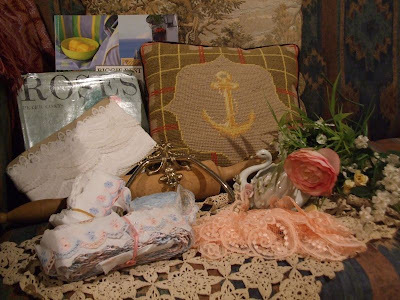 Cut glass, a gorgeous embroidered table cloth, melamine Peter Rabbit plates, regency curtain, doilies, a champagne bucket . 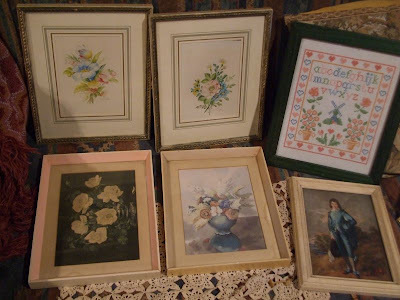 . .
a wooden rolling pin, tapestry cushion, books, china swan, silk flowers, vintage laces and trims . .
these gorgeous vintage prints and a cross stitch sampler, that were half price! All this vintage lingerie that they had actually been holding out the back for me! 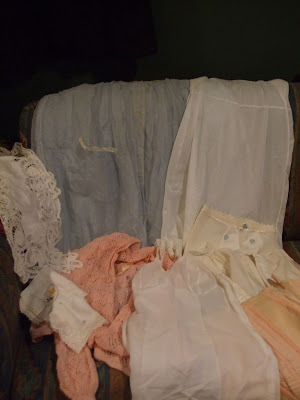 Sorry about the bad photo but in this lot is a robe, gorgeous soft bed jacket, petticoats, hankies and three girdles! 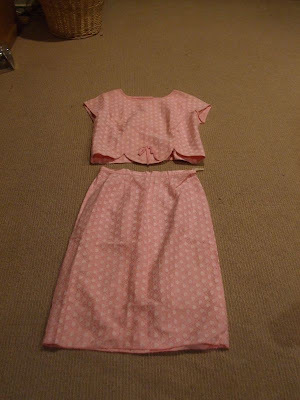 and my new costume for the shop opening, this gorgeous 1960's pink lace outfit complete with a bow! I love it!!!! 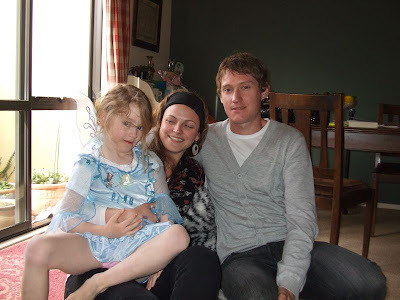 Now don't forget to leave a comment to enter the DRAW I am having to celebrate the opening of The Rose Room. The winner will receive a box of goodies, all with a rose theme - of course!